Good tree care starts with a healthy tree. 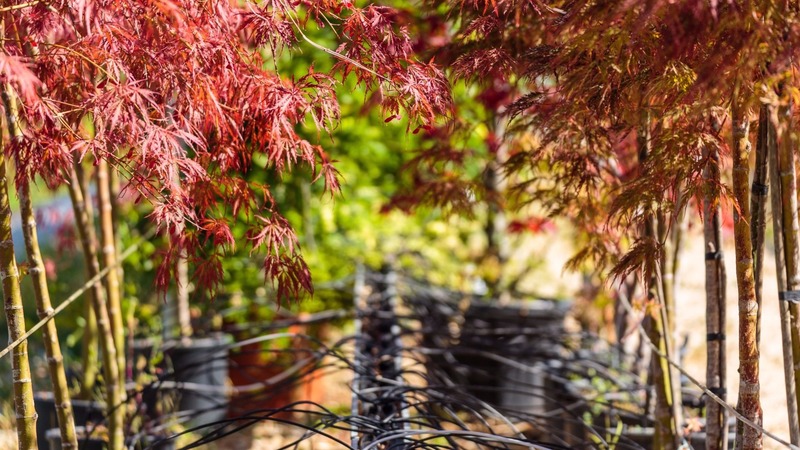 When shopping for trees at a nursery, there are numerous types of trees to choose from. Before buying a tree, there are three factors to consider: tree function, form and size, and site conditions. These factors will help you choose a tree that is appropriate for its planting location. When choosing a tree, think about what purpose you would like the tree to serve. Are you adding a tree for beauty? Privacy? Windbreak? Shade? The type of tree you choose will be dependent on how you want it to function. If you’re planting to add beauty, a flowering tree is a great option. Evergreens work best when planting a windbreak or privacy fence and offer year-round color. A large deciduous tree will give shade, keeping your house cool in the summer and warm in the winter. Selecting the right form and size of tree to complement the desired function can significantly reduce maintenance costs and increase the tree’s value in the landscape. It’s important to consider the size of the tree at the time of planting and its size at maturity. You want to plant the right tree in the right place to avoid damage to the tree and surrounding structures in the long-run. Planting a tree that is too large for its setting will do more harm than good. Several variables will impact the health of the tree once it’s planted. Consider the following factors the tree will be exposed to before planting, these conditions will impact the health of the tree. Inspecting your tree before taking it home will help ensure the tree is off to a good start. Tree care begins even before planting. Remember these considerations on your next nursery trip and watch the video below to learn more.